My research agenda focuses on the integration and resettlement of refugees and immigrants. My latest projects focus on refugees and their long-term labour market outcomes, along with the educational trajectories of refugee children and youth. I have also examined how immigrants use settlement services and in identifying the newcomers who need but cannot access services. Another project focuses on the long-term labour market trajectories of those arriving to Canada as children or teens. The rationale is that although we know much about the arrival experiences of adults in the labour market, very little is known about long-term labour market outcomes among those who have had some exposure to the Canadian education system. Other areas of interest include the health outcomes of newcomer children and youth and labour market transitions of immigrant women. I have good statistical and qualitative training and have provided assistance with a variety of projects including a study of the non-fracture needs of hospitalized Winnipeggers, bullying and victimization experiences of newcomer youth. Race issues are clearly a factor in the shootings but it is the particular circumstances of the shooter or shooters that are most relevant, said Lori Wilkinson, a University of Manitoba sociology professor and race relations expert. A Probe Research Inc. survey conducted this spring and released in time for Canada Day found that six in 10 respondents described immigration as having a positive effect compared to just six per cent who perceived it as having a negative effect. "I’m not surprised," said Lori Wilkinson, a University of Manitoba sociology professor and editor-in-chief of the Journal of Migration and Integration. 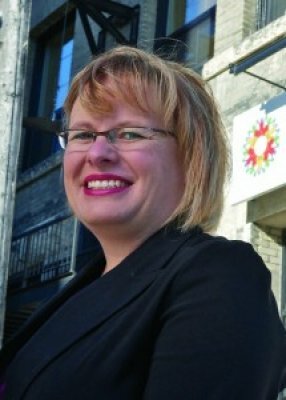 Winnipeg is similar to other Canadian cities, she said from Berlin where she's meeting with German counterparts to talk about Syrian refugees, immigration systems and conducting longitudinal surveys. MANY people wonder why Canada is opening its doors for Syrian refugees when there is so much poverty, inequality and injustice in our own society. Leaving aside Canada’s moral and international legal obligations, critics of the refugees argue that they are an unnecessary expense. What most don’t realize, however, is that refugees are actually an economic benefit to our country. It's true there is an initial economic cost we must bear to get them successfully settled and integrated, but over the long run, the short-term costs are overwhelmingly offset by the long-term economic benefits. There’s a deep history behind every cultural group in Winnipeg that contributes to the city’s cultural diversity. Twenty-two per cent of Winnipeg residents were born outside of Canada. It’s a number that’s hovering at the national average, says Lori Wilkinson, a professor in the department of sociology at the University of Manitoba, who specializes in immigration and race relations. Part of a series on refugee resettlement in Canada, this story from the Globe and Mail identifies the barriers to finding employment among the newly arrived refugees. This article examines the experiences of refugees in Canada and includes helpful information about the challenges refugees may face when leaving their country and when they arrive in Canada. 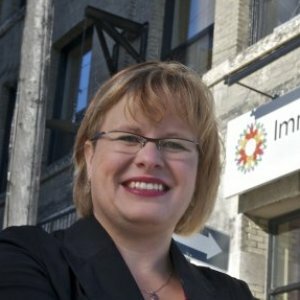 What are the challenges refugees to Manitoba Face? 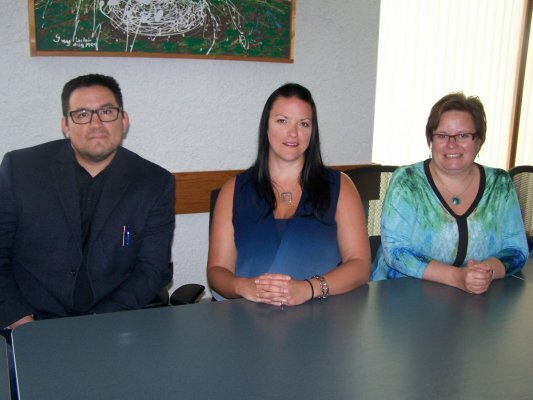 This interview discusses the settlement and services available to refugees in Manitoba. 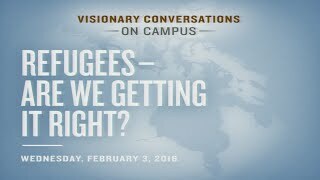 This short interview provides information about how refugees settle in Canada. 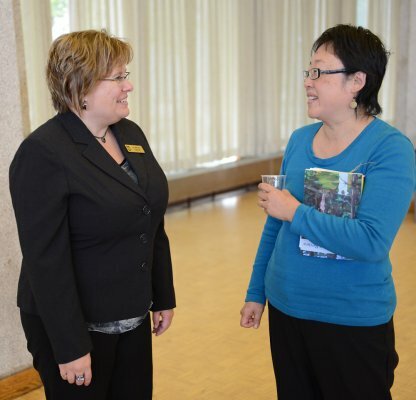 What do we need to know about academic integrity at the University of Manitoba? 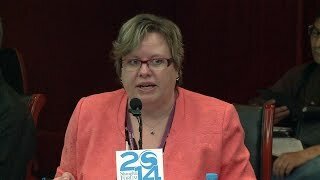 Refugees: What do we know? A short interview examining life in refugee camps and dispelling myths about refugees in Canada. A description of the Children and Youth Refugee Research Coalition team and their research on refugees in Canada. This note examines the country of origin among sociology professors in Canadian universities in Canada. This paper examines the lived experiences of 82 former immigrant and refugee adults currently living in Canada with a focus on their labour market histories. All have worked in Canada for decades and reflect on their experiences finding work, getting promoted and other aspects related to being an immigrant in the labour market. This article uses data collected in 2013 to examine the degree to which immigrants and refugees experience a decline in their job status when they move to Canada. Many immigrants experience a decline in their labour market outcomes when they move to a new country and Canada is no exception. This chapter, co-authored with David Ponka, which appears in the forthcoming (2017) book, Migration, Health and Survival: International Perspectives (edited by Frank Trovato), examines the unique mental health issues of immigrant children, refugee children, immigrant adults and refugee adults. It aims to debunk myths about refugees and mental health by using data from several sources. This short article appears in Understanding the 2016 Election in Manitoba, edited by Barry Ferguson, Royce Koop, Karine Lavasseur and Andrea Rounce. It explains why immigrants and immigration are important electoral constituencies, even in a provincial election. This paper uses data from the 2013 General Social Survey to examine generation status on experiences of discrimination and well-being among youth in Canada. It finds an interesting connection: youth who experience discrimination actually have higher rates of belonging to Canada... a connection I'm continuing to follow in my current research. This chapter is part of a book entitled Reading Sociology, edited by Patrizia Albanese and Lorne Tepperman. Here, I explore some of the most salient features of racism in Canada today. This chapter is part of a forthcoming book called Questioning Sociology, edited by George Pavlich and Myra Hird. In it, I examine various aspects of the integration process. Much of the research on the economic integration of immigrants focuses on the immediate and short-term experiences. This paper examines the long-term trajectories of immigrants in the Canadian labour market. This chapter, co-written with Yvonne Hebert and Mehrunissa Ali, appears in Adolescent Behaviour. It uses photoscape to measure the feelings of inclusion and fear among first-, second- and third-generation high school students living in Calgary, Toronto and Winnipeg. This chapter appears in Sean Hier, Daniel Lett and B. Singh Bolaria's book Racism, Identity and Justice: Dialogue on the Politics of Inequality and Change. It overviews the use of intersectional theory on understanding racism and identity formation in Canada. This research appears in Sandra Rollings-Magnusson's book Between Terrorism and Human Rights. In it, I examine the fine line between human rights and social cohesion. This chapter, co-authored with Yvonne Hebert, looks at the link between social science curriculum and public policy on citizenship rights. In this research, Dr Hebert and I explore how education can and does contribute to the development of citizenship and participation among youth in Canada. 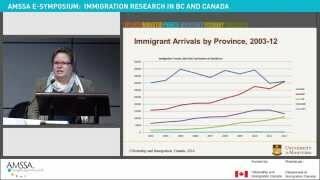 This research examines aspects and markers of social integration among refugee youth in Canada. Co-authored with Morton Weinfeld, this chapter examines the social institutions and their work in integrating immigrants into the Canadian economy, culture and society. This forthcoming article, co-authored with Jack Jedwab, examines the economic outcomes of refugees in Canada. This article, co-authored with four graduate students, identifies the factors that influence access to settlement services among immigrants and refugees in Canada. This article, co-authored with Jill Bucklaschuk and Janine Bramadat, explores the use of settlement services among immigrants and refugees living in western Canada. Together with my graduate student, Alison Kalischuk, we explore the demographic trends of migration to Canada's smaller rural centres.